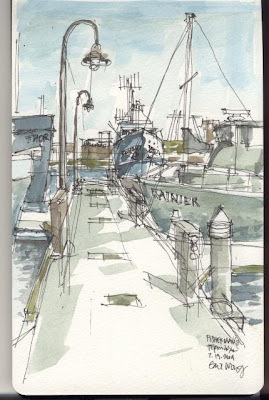 Gail plans to join the blog later in the week but she already sent me her sketch from yesterday so I could post it. Beautiful lines and composition. I love it! Click on it to see it larger.